Thank you for being a JANM Member! 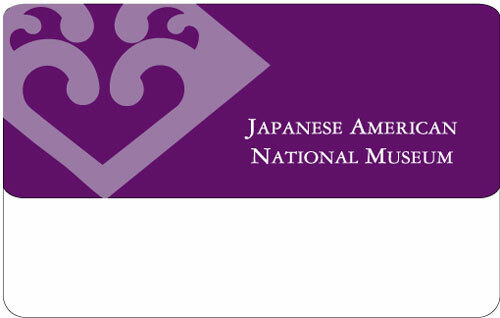 When visiting the National Museum and Little Tokyo, don’t forget to show your JANM Membership Card at the following businesses for friendly discounts. We add new businesses throughout the year—and we will be adding retailers who might be outside of Little Tokyo and in your neighborhood—so please be sure to check back. Certain restrictions may apply. Present current membership card to receive discount. 10% discount unless otherwise stated. Discount applies to food, no alcohol. May not be combined with other discounts or offers. Join or renew your Membership to support the Museum’s mission and receive these discounts and other great benefits. Free fried pickle chips or rice fritters with purchase of any big BOL. Free soft drink with purchase of a meal. Only available at lunch. 15% discount Tuesday through Friday for JANM members. Discount not available on weekends. Present membership card to receive discount. Excludes lunch specials. Certain additional restrictions may apply. 20% discount for parking in either of their two LAX locations. Friendly shuttles every 5-7 minutes, luggage assistance, complimentary newspaper, chilled bottled water, and fully-fenced and well-lit lots. Open 24 hours a day, 7 days a week. To reserve your space and get your 20% JANM discount, visit their special JANM page and register for your no-cost JANM-exclusive The Spot Club Exec card. Tickets must be purchased in advance by calling 213.625.7000, Monday–Friday, 11 a.m.–5 p.m. Proof of National Museum membership must be presented at the Box Office to claim tickets. Discount is not valid for Previews, Opening Nights, or special productions. Cannot be combined with any other discount; valid only on full-price orchestra or balcony tickets. Limit four tickets per membership. $100 off of cruises and $50 off of Japan package tours. Discount offer per person for cruises and package tours of 7 days or more. Other restrictions apply.